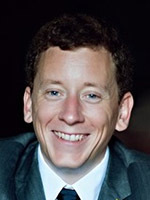 Ben Williams is an Assistant Professor of Economics. He received his PhD in Economics from the University of Chicago in 2012 and joined the Department of Economics at the George Washington University in August 2012. Ben's primary expertise is in econometric theory. He is interested in issues of identification and estimation in models with latent variables and the use of such models to understand causal effects. He also has interests in applied research in labor economics and industrial organization.